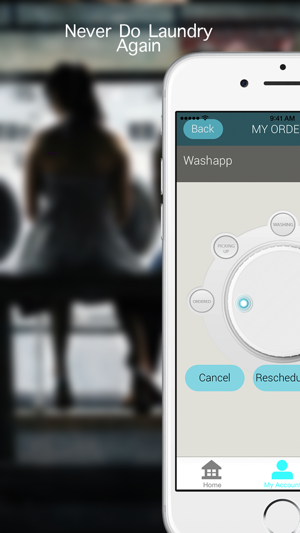 Instawash brings together several US based laundromats 24X7 at your service, just one touch away! 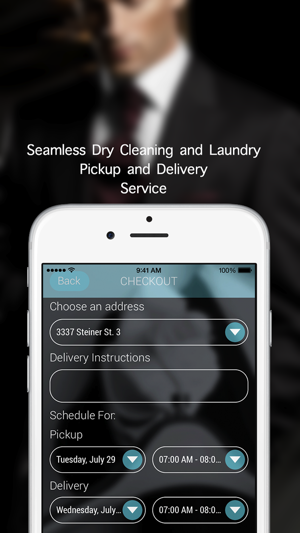 With Instawash, you get the highest quality laundry and dry cleaning delivery service usually within 24 hours. Just tap a button, schedule your time, and we will be on our way. Instawash is available in San Francisco with more cities to come. I tried Instawash for the first time this week and I was very impressed and happy with their service. They texted and called me when they arrived to pick up/drop off my laundry, and when my clothes came back to me they were not only neatly washed/folded but sorted into types (shirts/pants/underwear/socks/towels/) AND colors (reds, darks, whites), and tied with string and wrapped around with paper. My closet looks transformed like I all of the sudden became a a fastidious neat freak. I have never used a service like this before and I think it has literally changed my life by making this one thing so much easier--I used to have to spend all day doing laundry in the coin machines at my apartment building once or twice a month... This is so worth it for the time and hassle I save. I definitely plan to continue using Instawash as long as they keep doing their great service for such a reasonable price (my roommate told mere has been taking his laundry himself to a local dry cleaner to do his wash and they charge $15 for 10 pounds of clothes...so you get a cheaper price with Instawash AND your clothes delivered to your door!). Can't beat that. After I told my roommate about this new find of mine he of course immediately signed up and plans to use it for his next load 😊. I placed an order last night to have pick up in the morning. My pickup window came and went with no word from either the carrier or instawash. I finally received a call telling me that my service was effected by traffic and will therefore be late; after it was already late! The service rep then told me they were sending someone else who will be at my place in 20 minutes. 40 minutes later and I still haven't heard from anyone. This is awful service. I get charged if I'm not at the door when the pickup comes but nothing happens if they are an hour late. Whoa, same day service for only $1.50 / lb? And you get to customize your detergent, wash and dry specifications. Where have you been all my life. Kudos on using paper to wrap laundry instead of plastic.